Kidgets Diapers At Family Dollar Are A Great Value! You are here: Home / Sponsored / Kidgets Diapers At Family Dollar Are A Great Value! 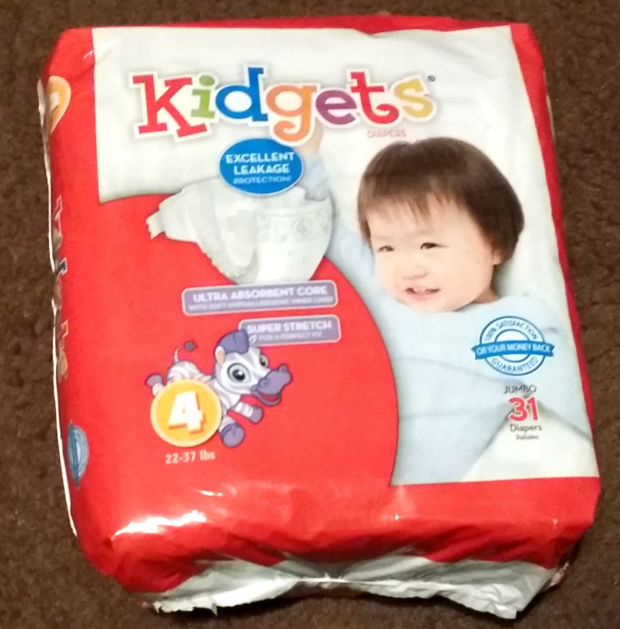 Have you or anyone you know ever tried Kidgets Diapers from Family Dollar? Honestly, I had no idea they even existed before they sent me some to try out! 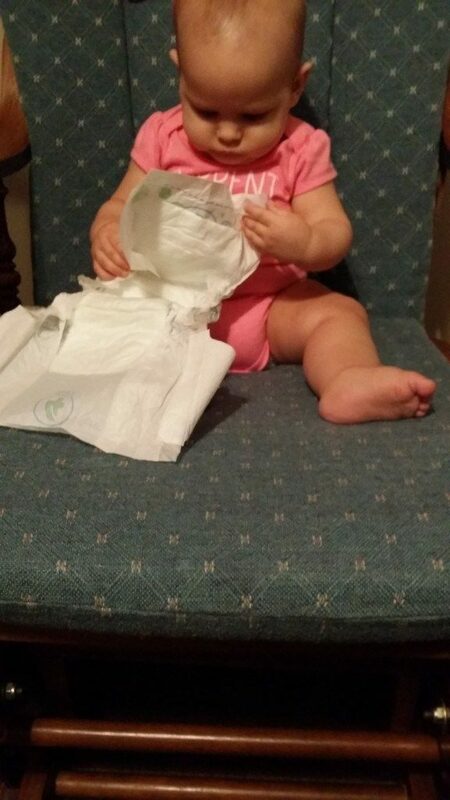 When they arrived my Daughter -in-law and I immediately checked them out to see what the differences were from other diapers we have tried. The first thing my Daughter-in-law noticed was the extra wide grip tabs. 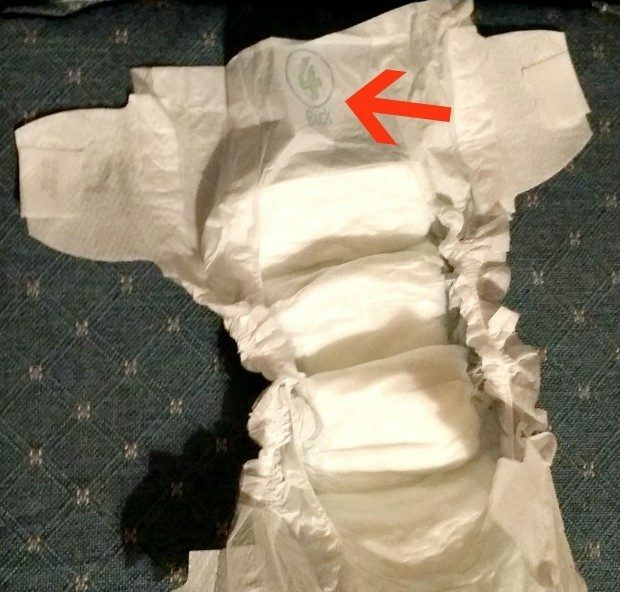 Most of the diapers we have tried have smaller grip tabs and they don’t cover the sides of the legs very well. These are stretchy and much wider and can cover that area of the legs much better. We were also very happy with them, they didn’t leak, they almost feel like cloth so they are very soft on the skin, too. This one may sound silly but, how many times when you are half asleep do you realize you have the diaper flipped over backward and you have the re-position it and the baby, or perhaps a Dad that doesn’t change many diapers or is learning might appreciate this feature: they have the back of the diaper well labeled so there is no mistaking, in a new Mom sleep deprived fog, the back from the front. I LOVE that! The Kidgets diapers at Family Dollar seem to be a way better value than the ones we’ve been buying. The brand we use is $7.97 for the same size and amount and at Family Dollar Kidgets diapers are almost all just $6! The large boxes of 86 are just $13, compared to the brand we normally buy that are over $24! That is a huge savings! They are almost half the cost of the brand we have been purchasing! If you were to follow this well-known chart for how many diapers you need for the average child, you would need to purchase 147 packages of diapers at $7.97 that would be: $1171.59. But, for Kidgets at Family Dollar they would only be $882! That is a significant savings! PLUS, they are 100% satisfaction guaranteed or your money back! 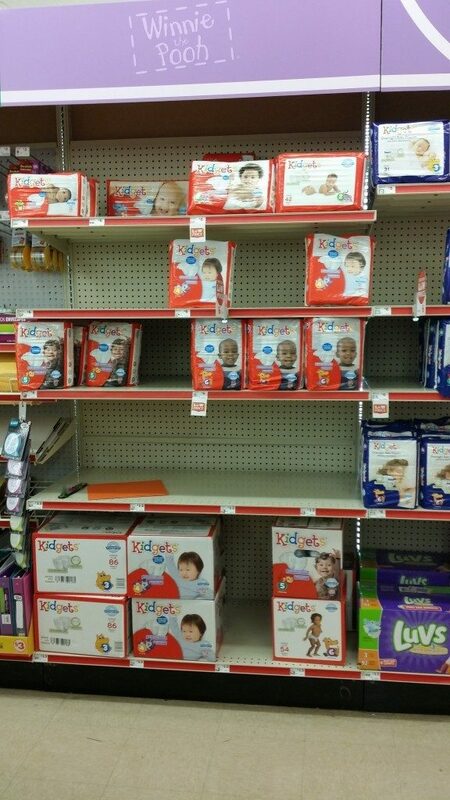 Find your nearest Family Dollar and check out Kidgets diapers for yourself!